Asian parents are spending billions of dollars on private tutors for their children, and the practice is growing despite doubts over its effectiveness, according to a study published Wednesday. "Shadow education" is an expanding business not only in wealthy countries but also in some of the region's poorer nations as parents try to give their children the best start in life, the Asian Development Bank said. Nearly nine out of 10 South Korean elementary pupils have private tutoring, while the figure for primary school children in India's West Bengal state is six out of 10. "Proportions are lower in other countries, but throughout the region the shadow is spreading and intensifying," the study said, calling for a review of education systems to make such extra teaching less attractive. Extra academic work is aimed at helping slow learners and supporting high achievers, and is seen by many Asian parents as a constructive way for adolescents to spend their spare time. However, it can also reduce time for sports and other activities important for well-rounded development, as well as cause social tensions since richer families are able to pay for better-quality tutoring, the study said. It estimated that the costs of private tutoring in South Korea were equivalent to 80 percent of government spending on public education. Japan spent $12 billion on extra teaching in 2010, while the figure for Singapore was US$680 million in 2008. In Hong Kong, where 85 percent of senior secondary students receive tutoring, companies advertise the services of "star" tutors, on television, newspapers and the back of buses, the study said. "Expenses are lower in other countries, but they are headed in the same direction," it added. 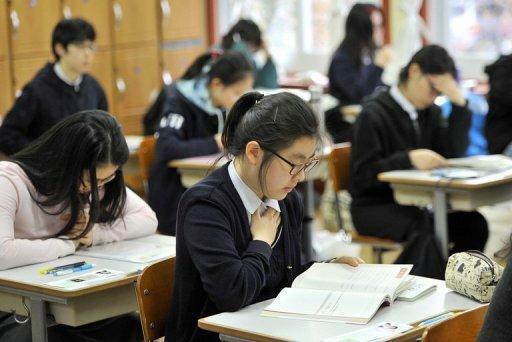 But despite its popularity, particularly in East Asia, tutoring has had mixed results, said the study, conducted with the University of Hong Kong's Comparative Education Research Centre. "Much depends not only on the motivations and abilities of the students but also on the motivations and abilities of the tutors," it said. "In many countries, individuals can become tutors without training, and the effectiveness of some forms of tutoring is doubtful." The study called for state supervision and regulation of the industry, as well as a review of Asia's educational systems. "They should ask why it (tutoring) exists in the first place, and what can be done in the mainstream to make supplementary tutoring less desirable and necessary."